The interaction between moving fluids and deforming structures plays an important role in many physical, engineering and biological systems. In the past few years at MOX, numerical methods for solving this fluid-structure interaction (FSI) problems have been developed and analysed for different applications, ranging from blood-artery interaction in hemodynamics, to wind-sail interaction in sailing yacht design. The flying shape of a sail is the result of the interaction between the action of the wind and the sail’s structural response, which, in turn, changes the surrounding wind field. 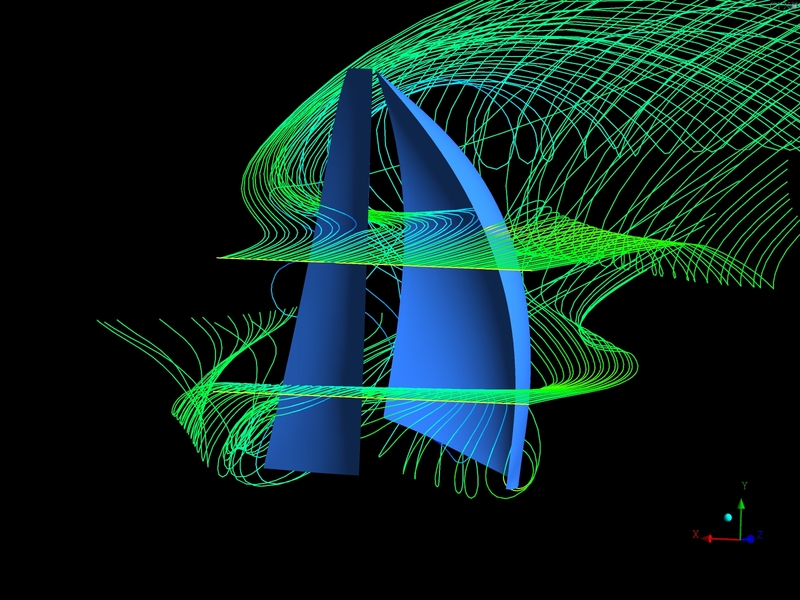 Strongly coupled partitioned FSI algorithms coupling a structural finite element model with a fluid finite volume solver have been developed in order to simulate the sail dynamics, predict the flying shape and optimize the sail trimming. 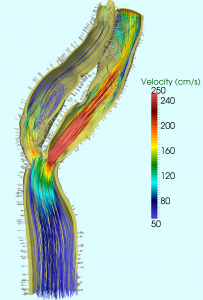 This research has been carried out in collaboration with the Chair of Modeling and Scientific Computing at the EPFL and the Alinghi Team. The blood flows in deformable vessels (arteries and veins) leading to a fluid-structure interaction problem. The numerical solution of this problem is very challenging since the similarity of the fluid and structure densities makes the convergence properties of partitioned schemes very poor. The multi-scale fluid-structure interaction models originally developed for the simulation of the cardiovascular system have been successfully adapted to simulate complex systems for the packaging industry. 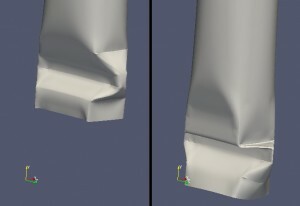 Both partitioned and monolitic FSI algorithms have been developed for the three-dimensional FSI problem where a thin carton tube strongly interacts with the filling liquid. The computational complexity of the whole problem has been greatly reduced resorting to ad-hoc geometrically reduced (0D and 1D) models for most of the system components. This research activity is carried out in the framework of a collaboration with MOXOFF S.r.l. and Tetra Pak Packaging Solution S.p.a., the world’s leading food processing and packaging solutions company. View a list of publications related to fluid-structure interaction.